Dreaming of England, our emerald land. Wound in his leg, he kept up the pace. Just this cold wet trench, no gurgling fun. No body, no coffin just those bereft. This soldier jumped ship, swam back up to fire. Sleeping no escape, from his life of slog. Battling, where blood had already been spent. All of our lads had nerves of steel. What did he think, in his last breath? Dehydration, bombs or the bitter cold. Thoughts of his love, before closing his eyes. Twitching and ticking in a hospital corner. Bomb noise, gunshot leaving him phased. Will this bloody war ever stop? Your souls are glorious, courageously true. Joe Farrag added a new photo to Walter Tull, First World War Hero Medal Campaign's timeline. 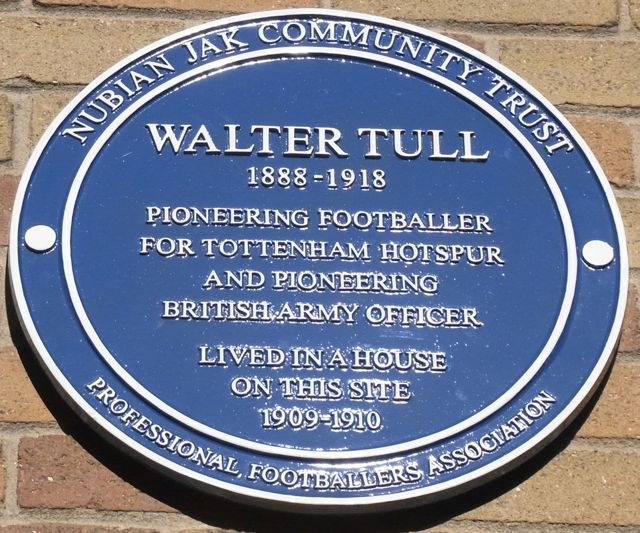 Walter Tull was one of the first black footballers to play the game in England. But he was also the first mixed-race army officer to command troops in a regular unit, at the rank of Second Lieutenant.